Bournemouth Borough Council: Pure Town Planning are delighted to announce that we have recently received planning permission for a new 420 pupil primary school which will be known as Avonwood Primary School. 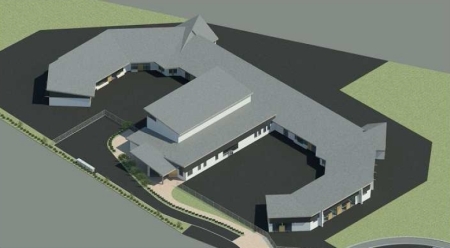 The new school will be sited on the existing school playing field within the grounds of Avonbourne and Harewood Colleges in the Littledown and Iford area of Bournemouth. Some of our regular followers may recall that we secured planning permission earlier this year for a temporary (3 year) modular school building with new access and parking on this site (read that post here). 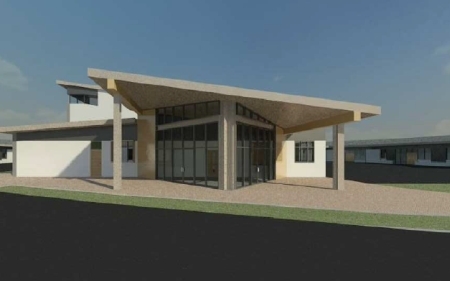 That temporary school opened in September this year and will act as a feeder school for the larger new Avonwood Primary School which is due for completion in time for the start of the new term in September 2015. The whole process has taken just over a year from client brief, design evolution and initial discussion, through to pre-application meetings with the Bournemouth Borough Council planning and other relevant officers as well as public consultation with neighbouring residents. We have worked very closely throughout the whole process with local building consultancy Bennington Green who designed and will be project managing new primary school’s construction. Bennington Green designed the clever layout which focuses the main noise intensive areas (external playgrounds) within the middle of the “euro sign” shaped footprint with the outer wings of the building designed to wrap around to shield and minimise noise towards neighbouring properties in Harewood Avenue and Petersfield Road. Furthermore to aid the prevention of noise pollution, the internal layout of the school has been structured so that younger children are housed towards the northern end of the school whilst the older children (who perhaps scream less frequently) are located at the potentially more sensitive southern end. A Comprehensive Transport Assessment, Travel Plan and Parking Management Plan has been prepared by Scott White and Hookins and this was crucial to the success of the scheme. They were able to convince the Highways Officer that the proposed arrangements would not be harmful and they raised no objection. Sport England objected to the application on the basis that it would result in the loss of 1.5ha of playing fields which is contrary to Government and Sport England Policy. To counter this Pure Town Planning prepared (in house) an assessment of existing and proposed supply and demand in relation to playing field provision. This report demonstrated that at present, there is an oversupply of playing field provision on the site, including the demand from both secondary schools and the existing sixth form. The report identified that through a more efficient use of the playing fields to be retained, the upgrading of existing facilities and the provision of the new MUGA, the site retains the capacity to increase its playing pitch provision to satisfy the demand generated by the not only the new primary school, but also both Avonbourne and Harewood secondary schools and the sixth form. In his assessment, the Planning Officer noted that the loss of playing fields is not the only material consideration. In this instance, the loss of a relatively small area of playing fields needs to be weighed against the provision of a new 420 pupil primary school for which there is an acknowledged need. Due to the fact that an adequate supply of school playing fields is retained, the senior planning officer determined that the need for the new primary school would outweigh the loss of the relatively small proportion of existing school playing field and made a recommendation to approve the application. It is always a pleasure to help local organisations negotiate the planning system particularly where like here the result is set to make a real difference to people within the community and the future of Bournemouth’s children.